The Utah Association of Appraisers is a Utah non-profit corporation organized in 1990. Its Board of Trustees comprises delegates of the Utah professional appraiser organizations represented in The Appraisal Foundation. The Appraisal Foundation is a national organization recognized by the United States Congress as the developer and publisher of appraisal standards and appraiser qualification criteria adopted by the States for appraiser and appraisal regulation. The Utah Association of Appraisers provides proactive representation for the Utah professional appraiser organizations and other Utah appraisers. It contributes to education of the general public regarding the imperative of appraiser objectivity, independence, qualifications, ethics, and professional standards for protection of the public interest. It contributes to education of appraisers to assure accurate interpretation of professional standards, the Utah State Appraiser Law and Administrative Rules and how they apply to an appraiser’s practice. It also provides leadership, interpretation, and impetus on issues affecting the appraisal profession in Utah. Did you miss the Real Estate Market Appraisal Conference in 2017. Did you miss the annual Utah Appraisal and Real Estate Conference, March 23-24 at Embassy Suites in West Valley. The two day event provided continuing education and networking opportunities for industry professionals. Don't miss the 2017 RealCON Utah event? 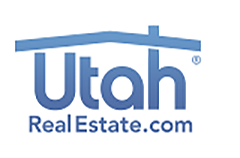 The Utah Association of Appraisers is a partner organization of RealCON Utah. Check out this year's event, and mark your calendar for Thursday, September 7, 2017. The 2018 Utah Legislative Session is now underway. If you would like to hear a complete update of the 2018 legislative session relating to appraisers and real estate, be sure the attend the 2018 Utah Appraisal and Real Estate Conference, March 23-24.